Fund managers remain optimistic on Brazil over the long term and believe recent political chaos is a noise that has created opportunities to buy into the market at cheap valuations. Many investment professionals think the corruption charges against Michel Temer won’t be a roadblock in the country’s economic recovery in the long run. Mark Mobius, the executive chairman of Templeton Emerging Markets Group, recently expressed optimism on Brazil. “It is definitely the moment to be bullish in Brazil. 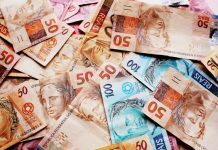 Now, with the pullback, it’s an incredible opportunity.” Bryan Carter, the head of emerging-market fixed income at BNP Paribas Investment Partners, is also positive on Brazil for long term investments. 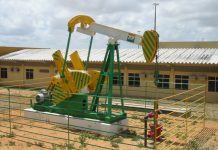 “Selloffs are just buying opportunities and what is happening in Brazil is positive for long term institutions,” he said. 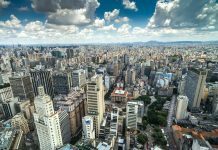 Among the exchange traded funds investing in Brazilian equities, the iShares MSCI Brazil Capped ETF (EWZ) has seen the highest inflows YTD amounting to $1,323 million. 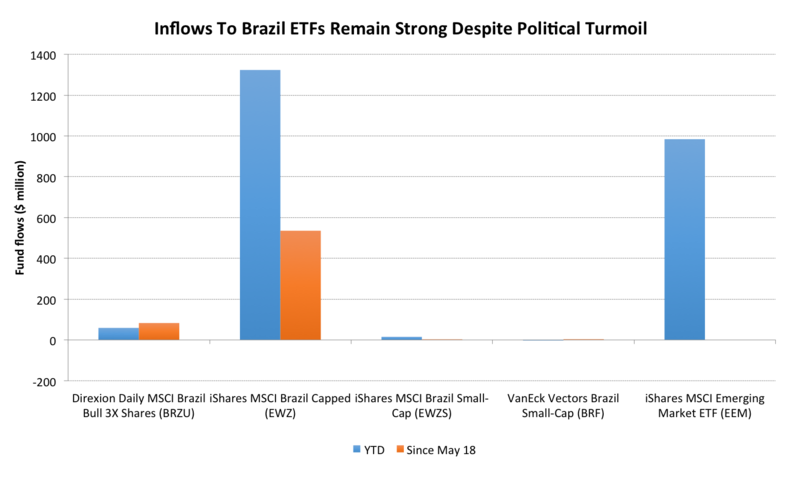 Since May 18, however, the EWT ETF has witnessed inflows of $535 million as “bargain investors” are buying into Brazil. The BRZU ETF has seen inflows of $59 million YTD and $83 million in the past week alone. In comparison, investors have plowed in $984 million to the iShares MSCI Emerging Market ETF (EEM) in 2017 so far.